A Tesla driver in Britain caught on video hopping into the passenger seat while his vehicle was on autopilot received an 18-month license suspension for dangerous driving. Bhavesh Patel, 39, from Nottingham, pleaded guilty to one count of dangerous driving after admitting he switched seats when he turned on the car's autopilot mode. The incident was filmed by a witness who said Patel appeared to have his hands behind his head while his vehicle traveled down a heavily congested roadway. Patel told police he was just the unlucky one who got caught trying out the car's amazing features. Tesla claims the feature is intended to provide assistance to a fully-attentive driver. Police said what Patel did was grossly irresponsible and could have easily ended in tragedy. "He not only endangered his own life but the lives of other innocent people using the motorway on that day," the officer said. Tesla has been met with criticism lately after reports about safety issues in the production plant as well as safety issues of using the autopilot mode. Earlier this month, an investigation about working conditions at Tesla Motors' assembly plant in California's Bay Area began after claims of serious injuries that went unreported there. 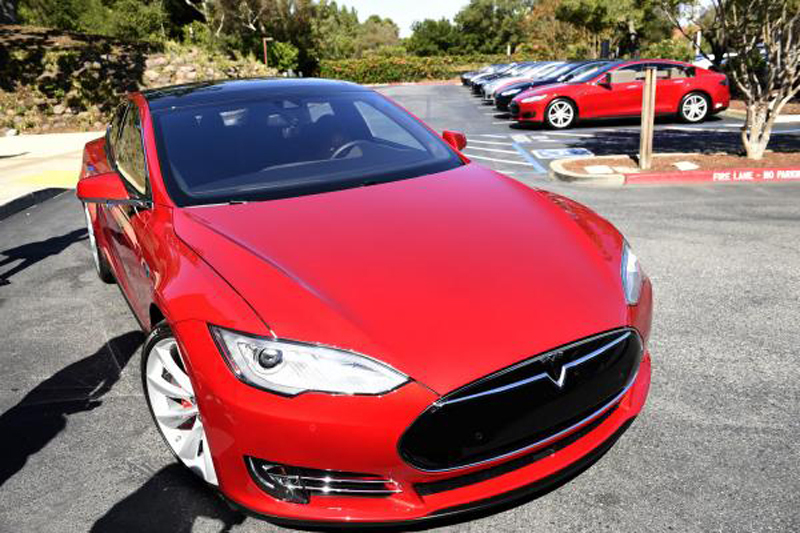 A Tesla car last month was involved in a fatal crash in California while in autopilot mode. Walter Huang, 38, who worked as an Apple engineer, died when the Tesla Model X collided with a barrier on Highway 101 in Mountain View, California. Tesla said in its statement that the failure to repair the highway safety barrier exacerbated the crash and defended its autopilot mode, which gives the car semi-autonomous capabilities.